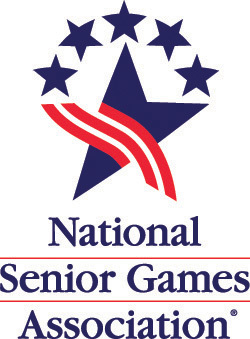 Athletes who participated in a fall 2018 Tennessee Senior Olympics district event as well as brand new athletes to the system. Scroll down to review the New Participant Rule passed in the fall of 2013. *Athletes who participated in ONE event at a district game (i.e. singles, mixed, or doubles) within badminton, bowling, pickleball, racquetball, table tennis, tennis (up to two events), and shuffleboard may sign up for all three events at the State Finals if interested. The board realizes that especially with doubles sports and a long time frame between district and state that it may be difficult to secure partners at the time of the district. With these sports being so popular and spanning more than one day at many districts the board is also aware that work commitments and other obligations may make it difficult to play all three events. Thus the flexibility written into the new rule. OPEN SPORTS exceptions: The following sports do not require district participation in order to register for the state finals. Golf: 2018 District Golfers will be given first chance to register and then golf will be opened on April 1 to all golfers. A one- time only exception from qualifying in district competition. This will require payment of all state finals fees plus a district processing fee of $30 payable to the district. A District Wavier Form must be submitted. See form at the bottom of this page. Note: For 2019, the $30 district processing fee has been suspended for first-time participants only - please check First Time Participant during online registration or on your entry form you mail to us. Remember you will still need to register for the State Finals. This does not apply to the state finals open sports. An athlete may register directly for these sports. If you know someone who is interested and qualifies for this rule please let them know they can download the form here. See below. Hardship Cases: If an athlete missed his or her district competition for a valid reason (medical, family emergency etc) the board may grant an exception. Please fill out and return a Hardship Form. See form at the bottom of this page. District Wavier Form (for First Time Participant's only - the $30 district processing fee has been suspended for 2019).